What is the best back massager? It is important that the device allows you to relax and is convenient to use, otherwise, there would be no point in massage. Shiatsu techniques deliver relaxing deep tissue massage. It should have a universal application so that you could use the massager with various types of armchairs and chairs. And a good model is the one that is multifunctional, adjustable and has several settings. We believe that Naipo Shiatsu Neck & Back Massager fits these criteria best. Why have we chosen this model? This is a brand-name product from Naipo, a global manufacturer of relaxation products. The device delivers massage to your head, back, and hips, with several adjustable nodes. Shiatsu massage nodes imitate the hands of a professional therapist, getting deep through your muscle tissues. So for the moderate price, you get massage on a professional level. When back pain becomes unbearable, you decide to obtain a massager that will always be at hand. It turns out that Amazon.com alone sells over 2000 massagers made by different manufacturers and of various qualities. How do you not get lost in that choice? Should you pick a handheld back massager or a full back massage cushion? What will be better for relaxing spasm in muscles: a vibration, percussion or shiatsu back massager? Which one is more appropriate for osteochondrosis or neuralgia treatment? We’ve picked the top 10 best massagers and we’ll classify them for you and explain their purpose. We’ll start with the simplest and cheapest one before gradually moving on to the most expensive ones listed. Massagers are used worldwide in all cultures. They have become truly popular at the beginning of the 21st century when office jobs became a reason for neuralgia, joint and spine dysfunctions of millions of people. Massagers are used both as primary and replacement therapy for athletes, white collar workers, drivers and doctors’ treatments as well as for rehabilitation. Their use neither requires any special skills nor involves a second person. 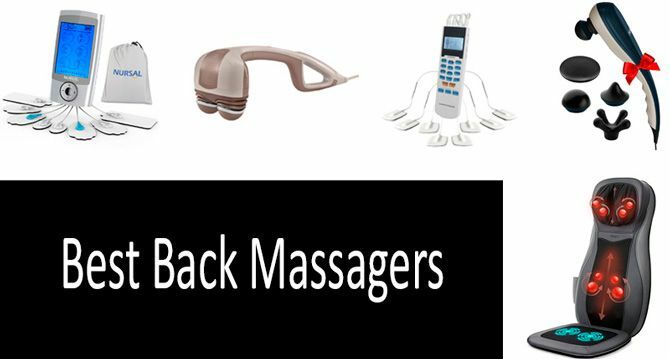 What Is the Best Back Massager That Will Suit You and Solve Your Problem? There are 4 techniques inherent to classical massage: stroking, rubbing, kneading and vibration relaxing. While the vibrations help relieve muscle spasm tension, deep kneading allows working the muscles and intensifying blood circulation. If you need a full back massager, you’ll find a Shiatsu-nodded cushion most suitable for that. It will cover the entire back. Let us warn you about different pain thresholds. It is very individual, and while Shiatsu balls motion may seem too crude for some people, it's unfair to expect perfection from a massager. Handheld electro massagers with massage heads are perfect for tense and spastic muscles. They will relieve fatigue after sports or improper desk posture. You can massage the muscles that require more attention yourself. If you experience a problem with your upper back or neck, a neck & shoulder massager with Shiatsu balls should be enough. Drivers will find a heated vibrating massage cushion more appropriate. Many customers are dissatisfied with weak vibration, so you can buy a powerful full back massager with 8 Shiatsu balls for deep and intense neck and back massager for home or office. Pulse massagers are another story. Technically, they are electro stimulators and not massagers. There are two types of electro stimulation, and these devices can either provide TENS or EMS or a combination of both. TENS (transcutaneous electroneurostimulation) works by stimulating hypodermic nerves with current. The method has been clinically tested and is effective. It relieves chronic pain of musculoskeletal nature (osteochondrosis, intercostal neuralgia, and post-traumatic neuralgia). EMS (neuromuscular electrical stimulation) improves muscle tone of extremely untrained and paralyzed people. It is also useful during stroke recovery. These devices are often positioned as a tool for weight loss and gaining muscle, but in fact they are useless for that. We’ve picked 10 different back massagers for different people and situations: handheld massagers for you to determine the massage areas, electronic pulse massagers for muscular electro stimulation, Shiatsu back massagers for deeper muscle treatment, a vibrating massage cushion for driving and a full back massage cushion to put in your armchair so that you can fully relax with the confidence that an electronic masseur will do the job perfectly. We’ll start with the cheapest and simplest hook back massager. We’ve picked different electric back massagers that are similar in terms of appearance. Unlike Shiatsu massagers, the massage head is static, and neither rotates nor vibrates. It is a percussion massager which means the heads go in and out like hammers. This massager with five nozzles on a long handle is a quick helper against stress or pain: its huge flat disk kneads large muscles while four finger-like nodes nozzle mimics manual massage. The acu-point is well suited for concentrated massage of small areas and if the pain point is located deep in the tissue, a simple round nozzle is designed for a relaxing massage. This is a family massager. Two features distinguish this from similar massagers: it has two massage heads and it exudes infra-red heat. It is not as big (it weighs only 2.5 pounds) as WAHL, but other characteristics are identical. It is likely that heating will be the key factor when making a decision. It is used for gentle massage. This most expensive massager (it is three times as expensive as the previous items) is portable meaning that you are no longer dependent on an outlet and can use it on the road, in a plane, in a queue or anywhere else! It weighs less than its rivals (only 1.8 pounds). Furthermore, there are two additional nozzles for your face and scalp. Not only will this massager replace a manual masseur, it will also become your personal beautician by relaxing and improving the tone of facial muscles. When used on larger muscles, it relieves pain and cramps, especially if you use a 6-head nozzle. Each of its heads is equipped with 8 silicone fingers for deep, fast and intensive muscle massage. If your problem is topical (neck or lower back), you might find it sufficient to use an upper back & lower back massager. You can hold this small massage pillow against the affected area (your neck or knee) or place it under your lower back in the car on your way home. The second option, a Shiatsu shoulder massager with long looped handles attached to the massage nodes, is best for treating large areas, such as your back, shoulders, buttocks or thighs. Pulling the straps up and down, side to side and diagonally will practically replace a real-life masseur. This is the smallest Shiatsu massager suitable for your neck, ankles, knees, elbows, and it can also be placed under your lower back. Zyllion has an ultra-thin design and is only 6 cm thick. Simultaneously, it provides complete acupressure with 4 Shiatsu nodes and heat muscle relaxation. It is popular for office and car use, as within 20 minutes it relieves stress in the most vulnerable areas when performing sedentary work. It is a bestselling pillow neck massager with 5 590 reviews. 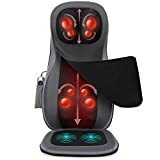 Use this massager for semi-professional lower back, back and hip massage as the straps allow for faster and easier massage of large muscles than compact handheld massagers do. Nekteck provides 3 massage speed modes and manual intensity adjustment settings. A variety of options minimizes possible pain. Its indisputable competitive edge over rivals is in the double number of massaging elements as Nekteck has 8 built-in Shiatsu balls. As we’ve mentioned before, TENS (transcutaneous electroneurostimulation) stimulates hypodermic nerves with current and effectively relieves chronic pain of a musculoskeletal nature (osteochondrosis, intercostal neuralgia, post-traumatic neuralgia). EMS is neuromuscular electrical stimulation. This method improves muscle tone of extremely untrained and paralyzed people. It is also useful during stroke recovery. and TEC.BEAN Tens EMS Unit with 16 Modes and 8 Pads Pulse Impulse Pain Relief Massager. Electronic Pulse Massager is perfect not only for reducing back pain, but also for removing tunnel syndrome, "tennis elbow" syndrome, and arthritis pain. Eight applicators are fastened in the pain area and work in 15 modes and 20 intensity levels. The cheaper one looks like a TV remote control, and the more expensive one resembles a smart phone. The former is convenient for seniors as it has large buttons, there is backlighting and it is battery-powered. By default, a single session lasts for 80 minutes which is enough for a full massage. It is not recommended for use for people with pacemakers and heart disease. This is a #1 Best Seller in the Patient Treatment Equipmen category with 3000 reviews and high consumer rating. Here we’ve picked two massagers, a vibrating and a Shiatsu-balls one. If you drive, go for a vibrating one (Be careful not to fall asleep as vibration massage is relaxing). Shiatsu balls are inconvenient for a car seat. Imagine how they would constantly stick in your back. You will be tired rather than pleasured by this if you are travelling a long way. At home, on the other hand, you can completely relax and have a deep Shiatsu massage. The rolled massage will make you feel hard and merciless (yes, merciless, as many buyers claim that this massage is too strong) masseur’s fingers. Naturally, the massage comes with some relaxing heat for your tense muscles. New Five Star FS8812 universally relieves back and spine muscle pain and treats neuralgia, cramps, and arthritic pain in large joints. Massage of the back of thighs accelerates blood circulation in the legs, which is essential for people leading a sedentary lifestyle. Ten vibration zones across the entire surface provide for an even massage, even when driving. There are no balls here as this cushion is designed for relaxing and soothing tired back muscles. Its purpose is to relax a driver’s muscles during a long and tiring trip. However, judging by the reviews, many buyers would prefer having Shiatsu-balls along with vibrating elements. Still, such a design is dictated by common sense: long-term exposure of the back muscles to idle Shiatsu rollers will create discomfort. This heated massage cushion is suitable for those who have a high pain threshold and can endure the pain or discomfort caused by Shiatsu balls massage. This is definitely the most functional option in the category of massage cushions without Shiatsu elements. It is suitable for people of various heights, ranging from 150 to 185 cm as two top Shiatsu nodes built-in the headrest will provide you with quality massage if you adjust the cushion to your height. 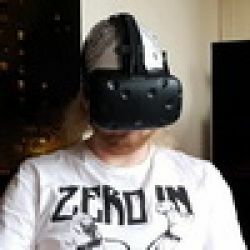 It is especially recommended for people shorter than 165 cm, as they usually find it difficult to buy a back massager with the headrest balls reaching their neck muscles. Two vibration sources with three intensity levels are built-in the seat, and four Shiatsu nodes move along your lower back in a complex trajectory. Each of the nodes contains two balls creating a deep 3D massage effect. I spend 18 hours a day sitting in front of the computer. In my nearly 40 years I’ve “earned’ a degenerative disc disease, the curse of intellectuals with a sedentary lifestyle. I have a pull-up bar and a treadmill at home; I do 50 pushups on average daily, as well as stretching and other rehabilitation exercises to keep myself in shape. Twice a year I visit a professional massage therapist who stretches the muscle tissues, relieves muscle spasms, and stimulates the spinal nerves. Therapeutic massage plays an important role in our faced-paced modern lives. In its normal state, the muscle tissue has to be smooth and elastic. This is exactly what therapeutic massage aims to achieve. But massage is still not enough. Due to sedentary living, the muscles shrink and weaken. The cervical region is particularly affected. Cervical degenerative disc disease is associated with neck pain and stiffness, insufficient blood supply to the intervertebral discs, which lead to their atrophy, shrinkage, and pressure on the spinal nerves. Long sitting hours cause your muscles to be statically tense even if you change your position. The muscle spasms are characterized by aching, nagging pain, which makes you feel like an old man. Therefore, in between the therapeutic massage sessions, you can use a simple homemade hand massager. This is an emergency, short-term solution that would relax the tense muscles and alleviate muscles fatigue, as well as increase blood flow and stimulate nerves. You definitely need this massager if your lifestyle is primarily sedentary or you drive long hours, at least as a preventative measure against disc degeneration processes. Quickly remove the spasm of the superficial muscles. However, do not expect the massager to reach the deep muscles, which can only be reached by the hands of a professional massage therapist. Accelerate blood circulation in the massaged area and oxygenate the muscle tissues. Percussion of up to 3,600 pulses per minute should be sufficient to reach superficial muscle tissues. However, the effectiveness of Acupoint therapy, which is featured by many manufacturers, is essentially questionable (according to evidence-based medicine). It’s also highly unlikely that an average person has a specific knowledge about acupuncture and which spots to stimulate for the desired effect. In my opinion, the Percussion-type massager is currently the most scientifically proven among back massagers. However, let me remind you again that not a single home massager will replace physical activity (at least 20 minutes a day) and the hands of a professional massage therapist. Is perfect for removing tunnel syndrome, "tennis elbow" syndrome, and arthritis pain. my husband was presented with a Vibration Massage seat. And this is my new friend who's waiting for me at home after work. After a hard day perfectly relieves fatigue. My back doesn't hurt anymore. Is it better to pick one fancy massager or a couple of simpler ones?